For all the romantics out there, Fathom Events and Sony Pictures Entertainment are putting on a once-in-a-lifetime event. To celebrate the 25th anniversary of the '90s classic rom-com Sleepless in Seattle, the film will come back to theaters for two nights only in December. 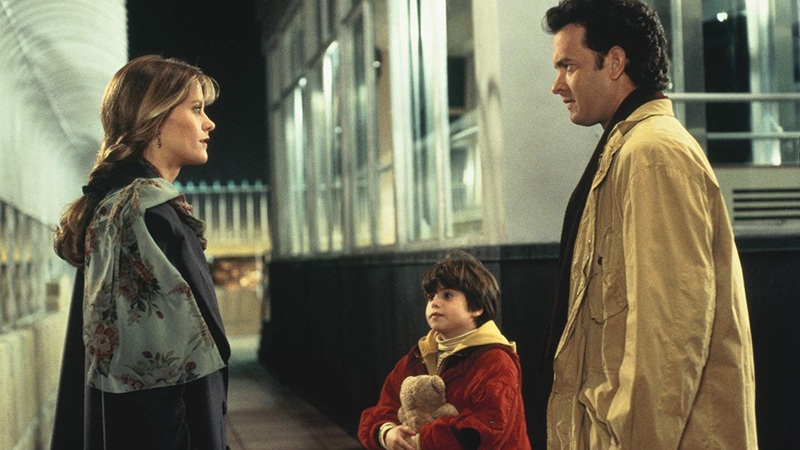 Originally released in 1993, Sleepless in Seattle stars Tom Hanks as recent widower Sam Baldwin, whose son calls a national radio show to seek advice on how to help his father. Meg Ryan stars as reporter Annie Reed, who's one of thousands of women to hear the broadcast and feel moved by Sam's story. Although she's already engaged to another man, she can't stop thinking about Sam — so the two arrange to meet at the top of the Empire State Building on Valentine's Day. The rest, as they say, is history. According to Entertainment Weekly, the 25th anniversary screenings will feature a new introduction to the film by Ryan and producer Gary Foster. “We couldn’t let 2018 come to an end without honoring one of the truly great romantic comedies as it celebrates its 25th anniversary — and we’re doubly excited to have the help of Meg Ryan and Gary Foster, whose talents were so critical to making this film a success,” said Fathom Events Vice President of Studio Relations Tom Lucas in a statement. Hanks and Ryan have starred in four films together, including 2016's Ithaca — which was also Ryan's directorial debut. During an interview with People about working with him again, she described him as having "big spirit" and said that after all her years of knowing him, she "can't get over how much he loves the water." Fans will surely be excited to see America's sweethearts together again in one of their most iconic films. Per EW, Sleepless in Seattle will be screened at nearly 400 theaters on Dec. 2 and 5 at 4:00 p.m. and 7:00 p.m. (all local times). Tickets and locations are available via Fathom Events.